The success of Pokémon GO has been unprecedented. Around the world people of all ages are playing the game, in many cases spending more time on it per day than on Facebook. When the game’s servers go down players feel lost and distraught and there have been countless warnings to people to be careful when hunting Pokémon – the latest about wandering into minefields in Bosnia. The business impact has been equally huge. Nintendo’s share price has doubled since the launch of the game, while spending on in-app purchases is estimated to be running at $1.6 million every day. Bear in mind that a substantial chunk of that goes to either Apple or Google as owners of the respective iOS and Android app stores and you can see there are a large number of beneficiaries of the craze. Pokéstops, where players collect items, can be any sort of prominent building, including pubs, leisure centres and churches. If your premises have been designated a Pokéstop it means you are likely to have more visitors. This is the perfect opportunity to boost your business – welcome Pokémon hunters into your shop, restaurant or bar with special offers. The same goes for gyms, where Pokémon are trained and fight. Also, be smart about it – if you deploy a Lure, which attracts local Pokémon for half an hour, you are likely to also receive more visitors. Activate these when you are less busy and you can bring in visitors in quiet times as well. To hatch eggs, players need to walk or cycle for a set distance between 2 and 10km. And you can’t cheat by driving as your speed needs to be below 10 mph (slow for many cyclists). 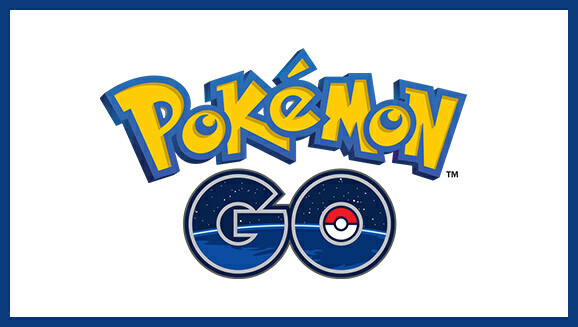 This is the perfect opportunity to get people exercising – towns and organisations such as the National Trust should look at setting up trails that players can follow, while the NHS and the Department for Health can try and incorporate Pokémon GO playing into people getting healthier. One of the biggest issues to playing the game in the countryside is the lack of a reliable 3G/4G signal. I’ve been close to catching numerous Pokémon, only for the critters to escape when the signal vanishes. Again, this is an opportunity for businesses – if you offer free wifi, make it available to players and you’ll gain their goodwill and custom. Given that people are focused on their screen when playing set up a safe area, away from traffic, where they can hunt, particularly if you have a Pokéstop in your location. Pokémon GO isn’t the first augmented reality (AR) game, and it certainly won’t be the last. In fact, it isn’t really that complex or advanced in terms of technology. So even if this is just a craze, there will be many more AR apps coming on the market seeking to replicate the game’s success. So anything you set up to cash in on Pokémon GO’s success is likely to be equally applicable to other apps down the line. Be AR ready. For bigger brands, particularly those creating their own apps, there are two lessons to learn from the game’s success. Firstly, it is built on being incredibly simple to use, setting a benchmark for user experience that everyone should aim to follow. Secondly, think about how AR can benefit your brand. If you are a visitor attraction such as a castle or historic ruins, you could bring the past to life with an AR app that shows people what your building looked like in its heyday. For consumer brands or retailers, can you create compelling AR experiences that help engage shoppers – or even guide them to specific locations in your shop to find what they are looking for. Pokémon GO’s combination of usability, nostalgia and clever technology is driving huge success around the world. Whatever size of business you are, make sure you are exploiting the opportunities it offers to your brand. With thanks to Lucas Measures for additional ideas for this post! Unless you’ve been living under a rock for the past few days, you’ll have seen that the Tour de France, the world’s biggest annual sporting event, visited the UK. From the Grand Départ (race start) in Leeds on Saturday to the final British stage from Cambridge to London on Monday, the race has been typified by enormous support, with an estimated six million people turning out to watch at the roadside. Putting that in context the normal total number of spectators for the entire, three week event is 12 million people. Riders described the noise levels at the roadside as ‘like being in a disco’, with climbs in the Yorkshire Dales resembling Alpe D’Huez when it came to the number of spectators. Even the normally insouciant French admitted it was the biggest start to the event ever. I was one of the six million spectators, on both the Yorkshire stages and as a Tour Maker volunteer marshal in Cambridge and am still reeling from the exhilaration of the experience, with a sore throat from the shouting. What makes the success even more amazing is the ratio of waiting to watching. The speed of the race means that the bunch tends to be past in less than a minute – even spread out on a climb it is less than 15-20 minutes for the final stragglers to come through. Yet people were in place the day before on climbs and 5 hours ahead of the race coming through on the flat. As someone pointed out to me, at 2 hours, the gap between the publicity caravan and the cyclists themselves was longer than a football match. From the very start, the Grand Départ was billed as Yorkshire’s chance to shine, with the chance for God’s own country to show the world what it was capable of. This spurred a frenzy of creative ideas, from knitting miles of coloured jersey bunting to painting houses, people and sheep in tour colours. Every community wanted to outdo its neighbour in a friendly, but very serious rivalry. And this spread to the South as well – events and decorations in Cambridge and Essex stepped up a gear as they were determined to rival Yorkshire. I saw thousands of people on bikes around the stages – and importantly you could cycle on the roads for hours before the race came through, and immediately afterwards. And the bikes (and cyclists) came in all shapes and sizes – from ultra light carbon machines piloted by whippet-thin athletes to shoppers and standard bikes with enormous child carrying trailers. There may have been too much Lycra on display, but it really felt that everyone could take part without being judged on their knowledge of rear sprockets or cycle computers. Recognising that cycling itself wasn’t of interest to everyone, there was a huge range of activities around the tour. From French-themed markets to public art projects, the organisers used the Tour to stimulate a whole programme of activities that brought people together. It wasn’t just the preserve of big business either – from the smallest shop to the largest company, there were opportunities to get involved without spending megabucks to become an official partner. Even if the Tour was just a chance to have a party or visit one of the fan parks with big screens, you could enjoy yourself without travelling far. Planning was meticulous, even if the sheer number of people caused unexpected delays on trains, and all the relevant authorities worked well together to deliver the event. For generations reared on seeing sports stars at a distance, the Tour is a complete change. It comes to your town and the riders pass within centimetres of the crowd (admittedly leading to some incidents as spectators misjudged the amount of space needed by a charging peloton). You have the chance to get close to the stars, rather than simply seeing them on screen. From riders signing on before the stage to warming down by their team buses afterwards, the whole spectacle is public and accessible. Too many brands are focused on initial engagement, then treat customers as expendable. Like the Olympics, the idea of legacy was central to the Tour’s success in the UK. Before Saturday, Yorkshire was probably not known by many outside Great Britain. Now, thanks to the power of the TV coverage, it has been seen by billions of people around the world. Already Yorkshire has plans for a follow-up race, and has set out its ambition to be one of Europe’s cycling hotspots, boosting tourism and the economy. We’re in the midst of a massive growth in cycling in the UK, with its associated health benefits, and the Grand Depart will spur many more people to switch to two wheels. There’s a reason the Tour de France is the biggest annual sporting event in the world – it is absolutely enormous. 198 riders, 440 vehicles in the race convoy, at least four helicopters, and a requirement for over 14,500 beds every night give you an idea of the scale of the thing. The publicity caravan alone takes around 45 minutes to pass any particular spot. People I talked to at the roadside were blown away by the spectacle, the noise, the sirens and the free stuff thrown from the caravan. Spectators really felt that they’d been part of something to remember – no mean feat given the time they’d spent by the roadside. 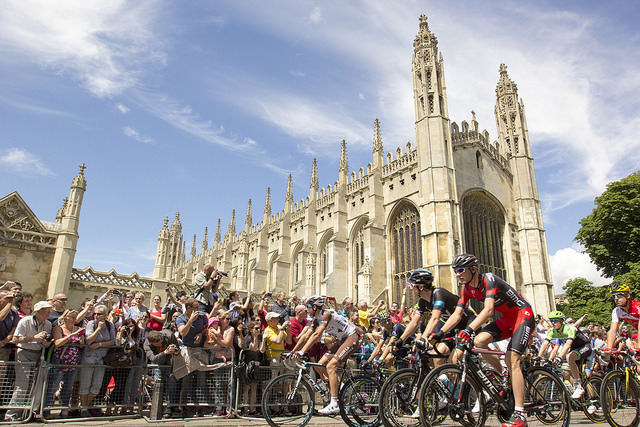 Marketers should take note from the success of Le Tour en Yorkshire (et Cambridge) and learn lessons on how they can create an equivalent buzz with customers going forward. And Lycra doesn’t need to be part of it………..